The Princess Seductions: Book One, His Majesty's Temporary Bride. 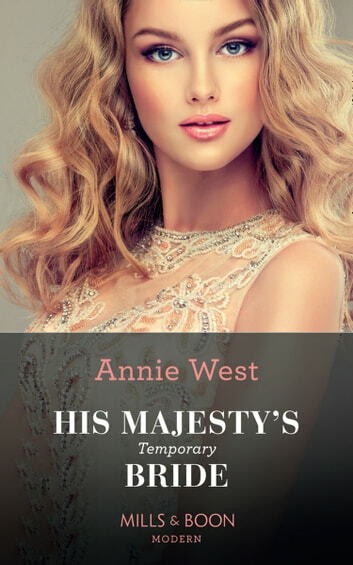 When Cat Dubois, a professional bodyguard, receives a phone call from the Prime Minister of St Galla asking her to impersonate Princess Amelie of St Galla (her secret step sister) with whom she bares a striking resemblance, Cat reluctantly agrees and returns to her homeland for the first time in a decade. However, Cat doesn't count on meeting Alex and from the first unplanned meeting between the two sparks fly! But unbeknown to Cat, Alex is King Alexander of Bengaria and is who the Prime Minister is hoping to dupe with Cats presents as the missing Princess Amelie, in order to keep his own plans of a dynastic marriage between the two countries alive. So Cat finds herself caught between her attraction to Alex, her guilt over her deception and her concern for the missing Princess, but when the deception is uncovered can Alex forgive Cat to find their own HEA! 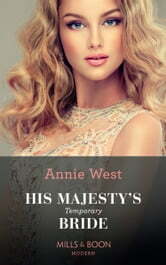 Ms West has written a wonderful witty adaptation of a modern Cinderella story with strong confident characters (that make it a great standalone read) and some clever future plot references, so if you enjoyed this book and like me are looking forward to Amelie's story and finding out why she ran and to whom, then Book two The Greek's Forbidden Princess is a must! Fyi I received my copy from NetGalley and Mills and Boon via Mills and Boon Insiders, but this does not influence my opinions as all opinions are my own.